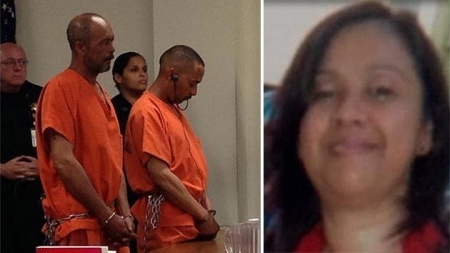 Two men have been charged with the death of 41-year-old Camden mother Fatima Perez. 36-year-old Carlos Alicea-Antonetti of Camden and 57-year-old Ramon Ortiz of Pennsauken have been charged with murder. Perez was last seen by family members on Monday morning leaving her house. She left with approximately $8,000 in cash to purchase a motor vehicle and was in the company of Alicea-Antonetti. Her body was discovered Wednesday morning in a shallow grave in Monroe Township. Police say that Alicea-Antonetti told them how Ortiz and him tied her up and put duct tape over her eyes and mouth. They dug a hole, put Perez inside, poured lime on her, and buried her alive. The cause of death was rule homocide by asphyxiation. The two suspects are being held on $5 million bail each. Former Trenton Mayor Tony Mack was sentenced today in Federal Court on corruption charges. Mack was sentenced to 4 years 10 months in prison out of a possible 6 years, plus 100 hours of community service. Mack was caught accepting bribes as part of a federal sting helping with the development of a downtown parking garage. Both Mack and his brother Ralphiel were convicted in February. Tony was charged with extortion, bribery, wire fraud and mail fraud. Ralphiel was found guilty of extortion and attempted extortion. Mack has since been removed from office. A Hatboro man who allegedly plotted to kill his ex-girlfriend's current boyfriend will face trial. 19-year-old Nicholas Helman waved his preliminary hearing today in Warminster. Helman was arrested in March at his Hatboro home where investigators found the deadly poison ricin. Helman is accused of sending a ricin-laced greeting card to his ex-girlfriend's boyfriend. Authorities returned to Helman's neighborhood at Byberry and York Roads two days after his arrest to locate an additional container of ricin that had been hidden in a gas-main access cap. Helman is being held without bail and is charged with attempted murder and risking a catastrophe amoung other charges.